When we need plumbing we expect honesty, availability, punctuality and know-how. Is that so much to ask? We don’t think so, which is why we offer a timely, fuss-free 24 hour service delivered by honest engineers who know their stuff and won’t leave you stranded. We stay on-task to complete a job with minimal disruption, in the allotted times, day or night. Our friendly, knowledgeable team of engineers are used to tackling challenges in all kinds of homes and businesses across London. From a simple nuisance blown up boiler, to demanding high-level plumbing installations in tricky environments and delicate structures. No job is too big or too minor. We’ll take on your domestic odd jobs or complex commercial projects with the same consistent professionalism, honesty and diligence. We’ll plan for unexpected surprises and unusual circumstances and will aim to fix every problem on the job. If this isn’t possible we’ll leave you in a safe environment and promise to return as soon as we can with the parts required to solve the problem. If you’re in Camden, Hampstead, Golder’s Green, Westminster, Highgate, Maida Vale or the broader London area, drop us a line. Even in the middle of the night or weekends. 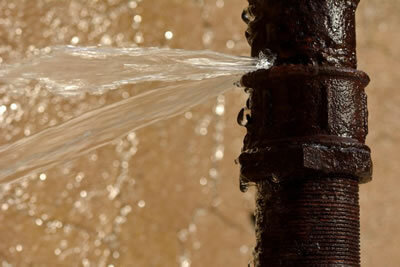 Plumbing emergencies don’t keep regular office hours, and neither do we. 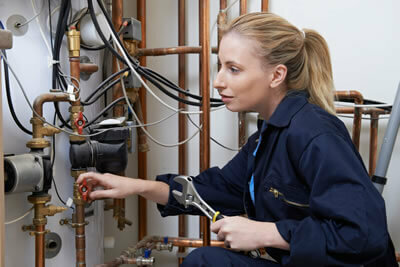 Besides the odd gurgle here and there, plumbing generally goes unnoticed. Until something goes wrong. That’s why maintenance is often neglected leading to unexpected surprises that may have been prevented with a little foresight. Maintenance is our most popular service – and for good reason. Carrying out regular maintenance ensures potential problems can be detected before they escalate and become a serious issue, saving money and disruption in the long run. It’s imperative that systems are checked regularly to avoid greater expense when the system is effectively written off by widespread damage requiring a reinstallation. That’s why it’s best to invest a little here and there in maintenance to ensure you get the proper lifespan from your plumbing with the peace of mind that it won’t leave you in a pool of regret. Maintenance work is especially important in larger homes where the plumbing systems are more complex, with more potential weak-points where issues might arise. The maintenance agreements we offer are designed to perfectly suit your needs as the property owner and the property itself as a structure with unique circumstances and vulnerabilities. 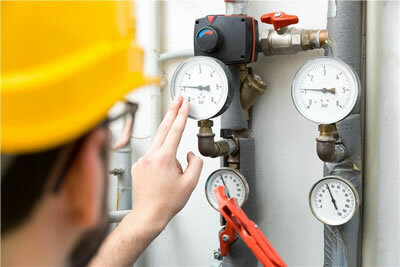 Our maintenance service covers all manner of different elements, such as full boiler servicing, pipe infrastructure inspections and everything in between. Sometimes the circumstances make it close enough to impossible to repair a broken part of your system that a new installation becomes a better option to future-proof things and save you hassle, headache and further expense in the long-term. Plumbing systems ain’t no joke. We’ve installed some complex, heavy duty projects in vast homes and buildings that would have some plumbing companies in London scratching their heads. 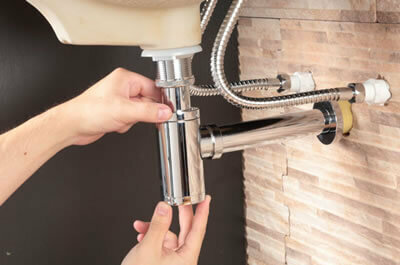 Whether your system is decades old and using old parts, or in a new-build with the latest gear, we know our way around and can install every element of plumbing with a deft touch and minor disruption. All work is guaranteed and carried out by professionals that don’t cut corners, or punch above their weight. To find out more about any of the domestic emergency plumbing and heating services we offer in London, speak with one our team. Because there’s so much plumbing around gurgling, sloshing and draining 24/7, things are bound to go whizz, pop and bang sooner or later. Typically, in the middle of the night. A plumbing emergency in your home or business can be a horrendous experience often spreading the damage affecting appliances and expensive items. Like any emergency plumber in London worth their wrench, We are on call 24 hours a day, seven days a week, to guarantee we get to customers in the fastest time possible to minimise stress and disruption. We know that emergencies can come in all shapes and sizes. Our team has pretty much seen it all. From burst pipes in listed buildings, through to blown up boilers of the most complex kind requiring emergency boiler repair. There’s nothing that will phase us when we arrive on your doorstep. 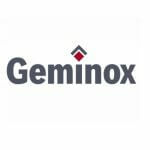 That’s why so many residents of Camden, Hapmpstead, Golder’s Green, Westminster, Maida Vale and the surrounding areas call us when they they need an emergency plumber in London who knows what they’re doing, and can take action quickly and efficiently to prevent things from getting out of control and causing widespread damage. So that we’re able to keep our pledge to deal with emergencies swiftly and prevent collateral damage to appliances and valuables, it’s important that issues are reported to us in as much details as possible, as soon as the problem becomes known. Even if things don’t seem too bad at first, faulty plumbing can quickly escalate so act quickly and talk to us so that we can assess and advise. If you do have an emergency out of office hours, call us and we’ll do our best to assist you in any way we can. Sometimes a dodgy central heating thermostat can be the least of your worries. Boilers extent into complex networks of pipes and cylinders that suffer the wear and tear of daily functioning causing build-ups that can be without symptom until it’s too late. Water treatment filters, also known as central heating filters, will help to prevent troublesome build-ups within central heating systems. Filtration is more important than ever before due to the increase in high-efficiency condensing boilers where even a small amount of unwanted substances in a heating installation can decrease the efficiency of a system and result in a waste of money. If you suspect your system might be lacking adequate filtration or simply aren’t sure, dial us and we can advise you on the best course of action for your boiler to have it working at full capacity. 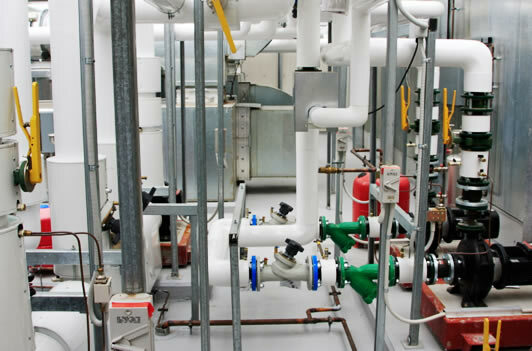 Heating installations aren’t all that different to circulatory systems. The more debris, sludge and scale in the system, the harder the heart of the system has to work. A boiler working overtime is a noisy boiler! 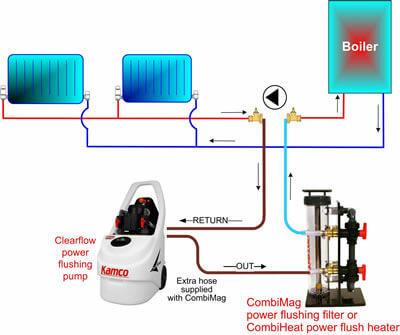 To keep your boiler humming quietly and happily, central heating cleaner should be fed into the system periodically to remove all the nasties that will eventually have your installation complaining and kicking off. Central heating cleaner is especially effective for older installations that may not boast the green credentials of newer systems. A single cleaner treatment can significantly increase efficiency to bring things up to temperature faster, reduce waste and carbon footprint to keep your boiler purring happy. Speak with one of our team to book a heating cleaner treatment that will likely save you on bills in the long run. 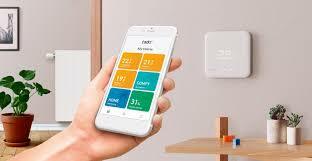 Smart heating gives you control from anywhere, via smartphone, tablet or laptop, giving you greater flexibility. With adaptive technology, smart heating learns your daily routine to automatically switch your heating and hot water on and off just in time for you to arrive to a cosy, warm house and a deserved hot shower. Unless you’re also changing tariff, smart heating controls won’t instantly save on costs although they will give you the chance to heat more efficiently by giving you closer control over your central heating thermostat to automatically heat at optimal times of day so you’ll likely notice some cost savings over time. Talk to us about the range of SHC’s in the market. Whether it’s Fibaro, Tado, Loxone, Hive, Honywell or Google’s Nest Learning Thermostat, our team are familiar and well versed in the options available. We offer a high-calibre, full-stack boiler service for domestic a commercial properties across London. A bad installation or dodgy boiler repair for an issue not properly diagnosed will likely exacerbate things and cause more call-outs, spiralling cost, and more nuisance disruption to your home or business. We put knowledge first and trust in our skilled team of engineers to get things right across the whole boiler service range we offer so that the call-outs you book with us have long-lasting positive impact. If you’re in the Camden, Hapmpstead, Golder’s Green, Westminster, Maida Vale or the broader London area, we’d be glad to speak with you whether it’s about a simple domestic boiler, or more complex commercial needs. For a knowledgeable consultation, speak to us. We offer bespoke quotes for both small and large jobs to ensure you get the best value for money without compromising on quality. Experience counts. When it comes to boilers, the last thing you need is a plumber punching above their weight, keen to get jobs under their belt and completing them with guesswork and hunches. We’ve completed more boiler installations in London than we can count and work closely with recognised industry names and leading boiler manufacturers; Viessmann are no exception. 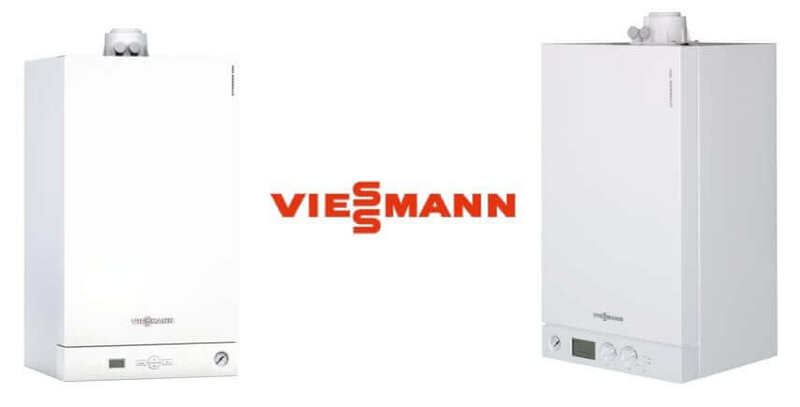 Our certified and approved engineers know their way round a Viessmann boiler that are renowned for their build-quality and steadfast reliability.